Star Trek: Deep Space Nine was a genuine departure for the franchise. Prior to this, the series had a focus on exploration, with TOS and TNG following roughly the same template of the crew of a ship encountering a new situation and solving it every week. But DS9, set on a space station situated at a strategic location, wasn’t afraid to get complicated. While there were episodes following the usual Trek template of exploration, there were also ones examining interstellar trade, political maneuvering and the morality of the Federation (and its complex relationship with the rest of the galaxy). In other words, it was great! 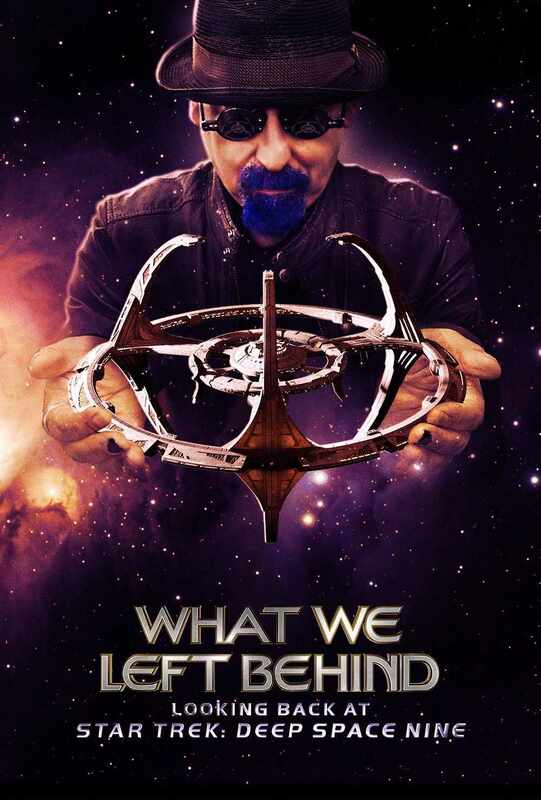 The show’s reputation has only improved with time, too, and now the crowd-funded documentary What We Left Behind: Looking Back at Star Trek: Deep Space Nine looks set to really get under the skin of why it worked so well. Judging by the trailer, the doc has tracked down the entire cast of the show, and it seems that there might be some residual bad blood between them. Regardless of what drama transpires in the documentary, you really can’t go wrong when you interview Avery Brooks (who played Captain Sisko), who’s one of the most entertaining (and odd) interview subjects around. The film consists of comprehensive interviews with cast and creators, boasts footage remastered into HD for the first time (the brief bits we see in this trailer look amazing), and also features an animated featurette imagining what an eighth season of the show might have looked like. The documentary is of such high quality that it’s even getting a theatrical release for one night on May 12th. Tickets for that go on sale on April 12th, so be sure to check your local listings to see if it’s coming to you. Until then, that HD footage of the series is seriously tempting. Let’s hope that it’s a taste of a full Star Trek: Deep Space Nine remaster yet to come.